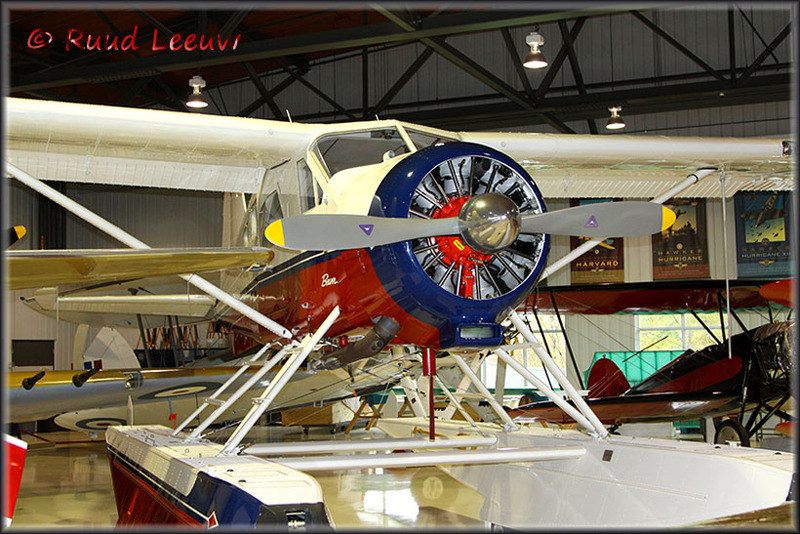 After a visit to the Canada Aviation Museum, we drove out of Ottawa, to Gatineau. 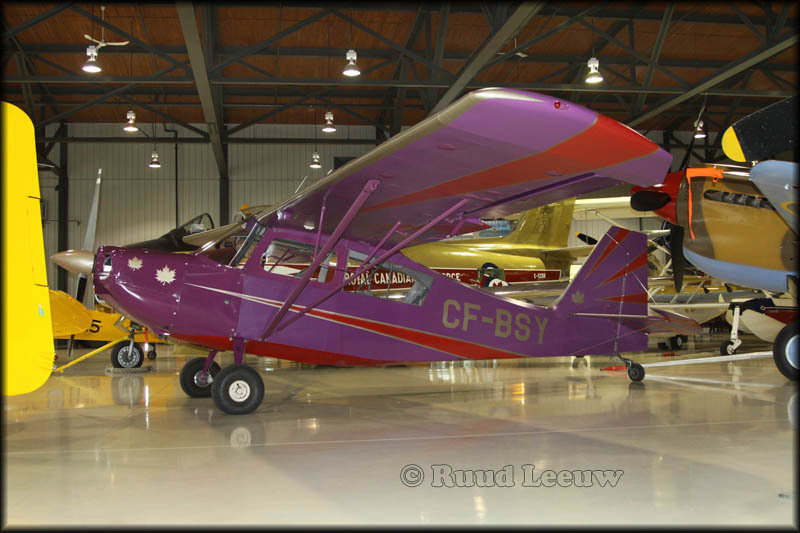 At the airport, only a short drive from downtown Ottawa, we found the headquarters of Vintage Wings. I presented myself at the frontdesk and was kindly allowed to walk around and take photos. They prefer you take a guided tour, as the aircraft are parked very close together, but I was (unfortunately) in a hurry and an exception was made for me. 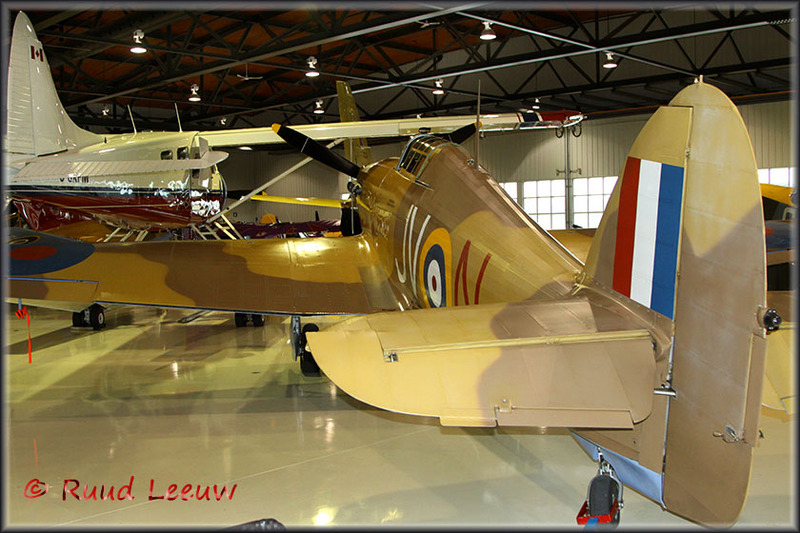 For the information on the aircraft I copied mostly from the museum's excellent website. Bottom page you'll find a link and I recommend exploring their website for more information. 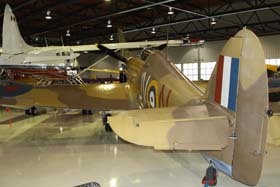 The collection is housed in a new hangar at the airfield. 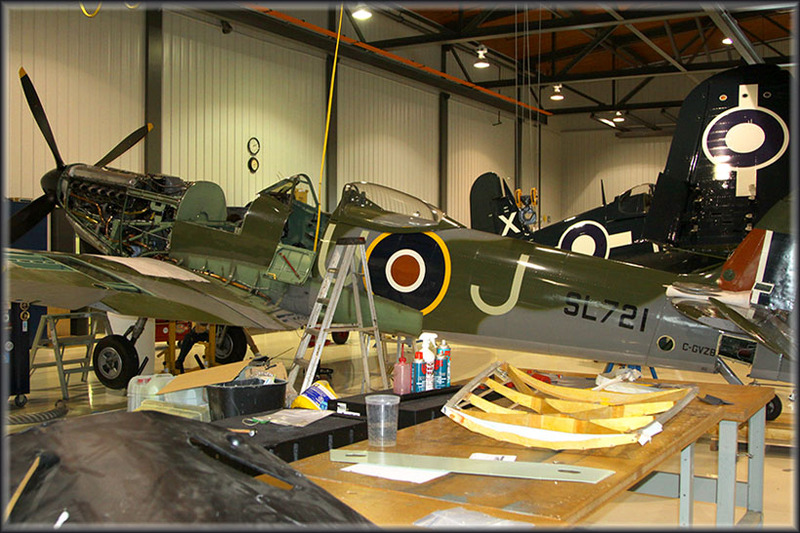 The aim is to preserve in flying condition a fleet of significant aircraft types. During the summer regular flying days and open houses will be held. 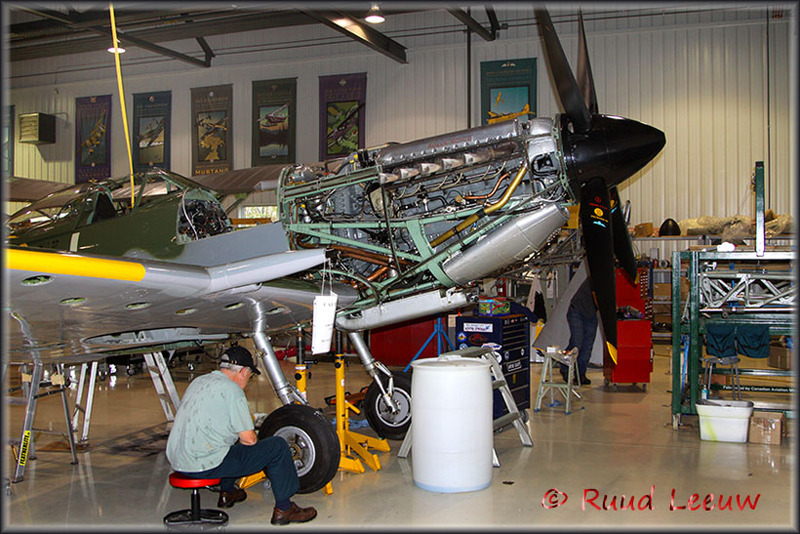 Supermarine 361 Spitfire LF.XVIe C-GVZB, undergoing extensive overhaul. 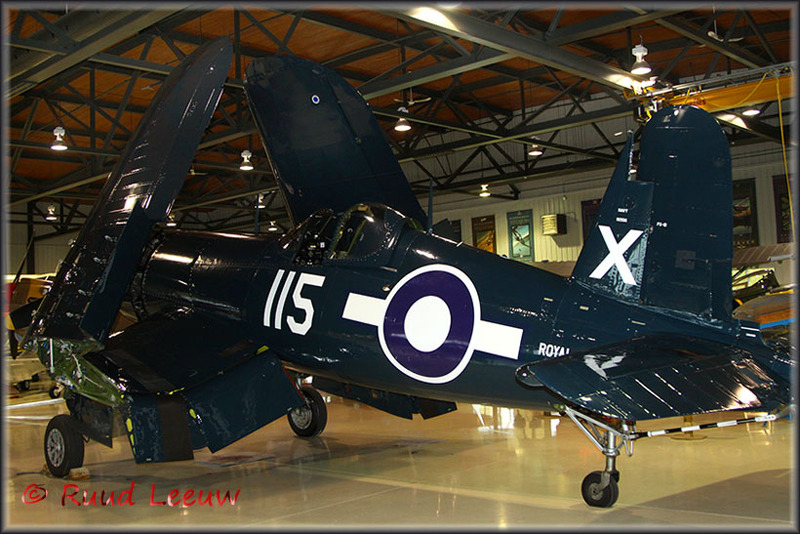 Vought F4U-4B Corsair N240CA, in a literally brilliant condition! 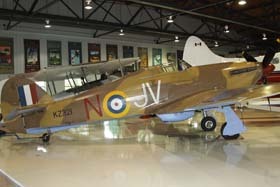 "When I saw the curve of the spine near the the cockpit it became instantly apparent that this was a Hawker Hurricane, and a quick check of the Wikipedia page on this museum (see: Wikipedia) does indicate that they own two Hawker Hurricanes, one on the floor (which you also have a great shot of) and one undergoing restoration. 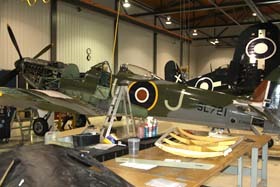 If you examine the cockpit area carefully, particularly the slot the hood slides over, you'll see that the complete Hurricane on display and the aircraft undergoing renovation in your imager marked 'unidentified' are identical. " Jacques Daviault. 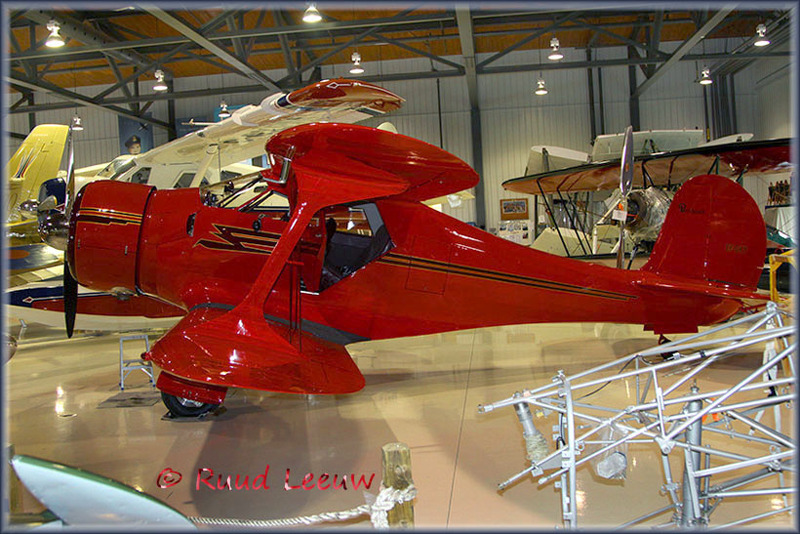 Admire the sleek lines of the Beech D17S (UC-43) Staggerwing, CF-GKY (c/n 4874) ! 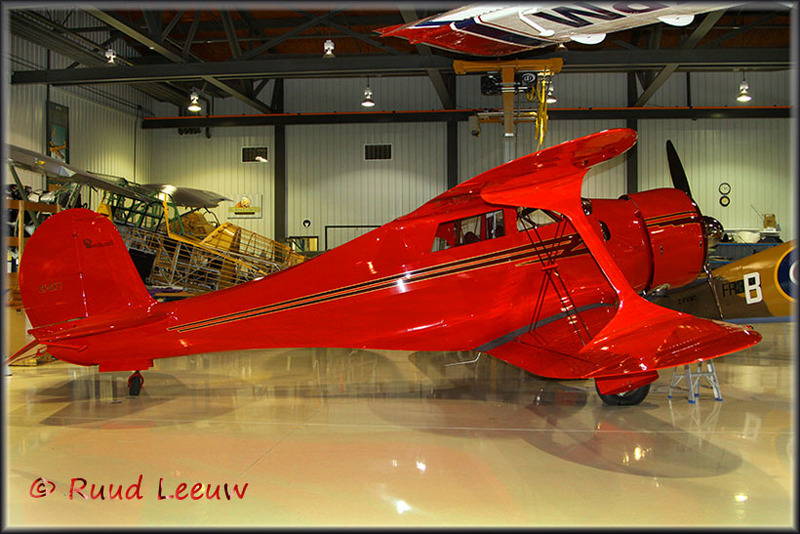 At the height of the Great Depression, aircraft executive Walter H. Beech and airplane designer T. A. 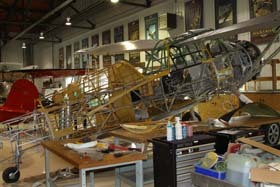 'Ted' Wells joined forces to collaborate on a project many considered foolhardy — a large, powerful, and fast biplane built specifically for the business executive. The Beechcraft Model 17, popularly known as the 'Staggerwing' was first flown on November 4, 1932, setting the standard for private passenger airplanes for many years to come. 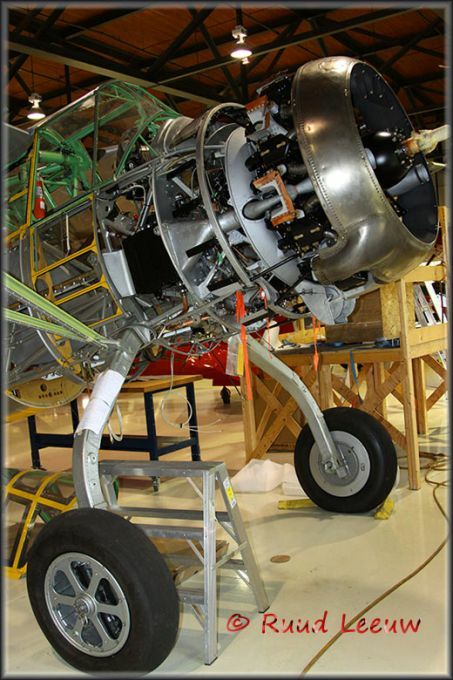 It was considered, during its time, to be the premier executive aircraft flying, much as the Gulfstream executive jets are considered in contemporary times. 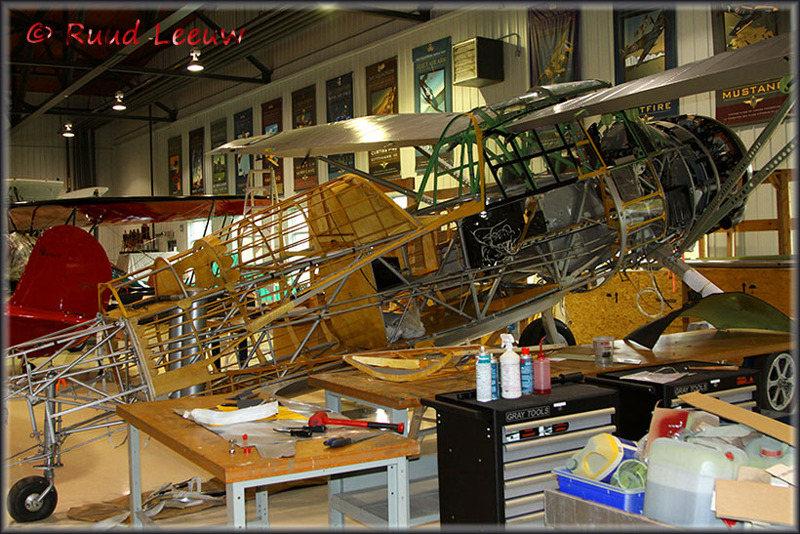 The WACO (for Weaver Aircraft Company) Taperwing is one of the true classics of the golden age of biplane flying, air-racing and barnstorming leading up to the Second World War. 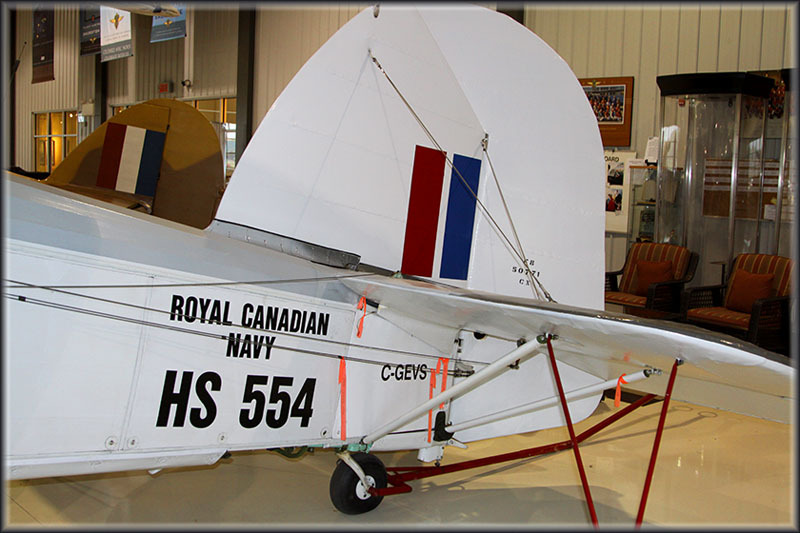 With elegant namesake tapered wings, large narrow wheels, classic open cockpit and rakish good looks, The Vintage Wings of Canada Taperwing ATO seems meant for air racing or aerobatic flying. 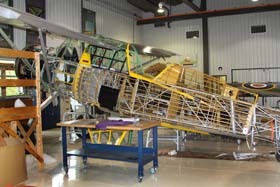 The Taperwing was one of the most successful of many models and variations designed and built by Advance Aircraft Company based in Troy, Ohio. 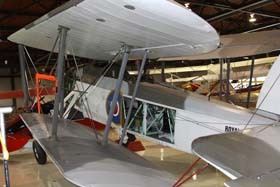 A Taperwing was flown to victory in the 1928 National Air Derby by Johnny Livingston a well known aviator, WACO dealer, airline operator and daring air-racer of the day. 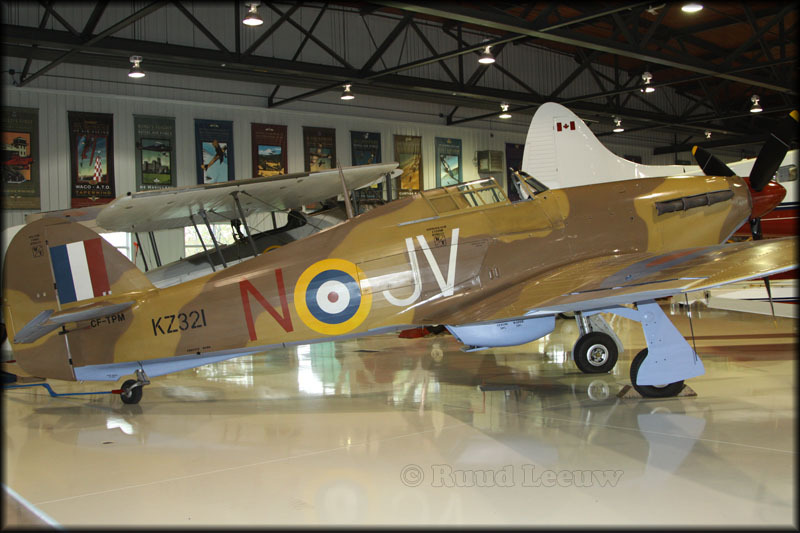 While he is no longer a household name, Livingstone is the namesake of Richard Bach’s unforgettable novel - Jonathan Livingstone Seagull a story about the passion of flying. 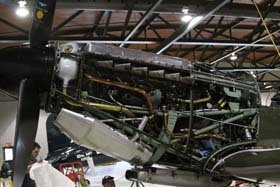 The history of the North American F-86 Sabre (and its variants like the Canadair Sabre models) is closely tied to the beginnings of the Cold War and famously with the Korean War battles with Russian MiGs. 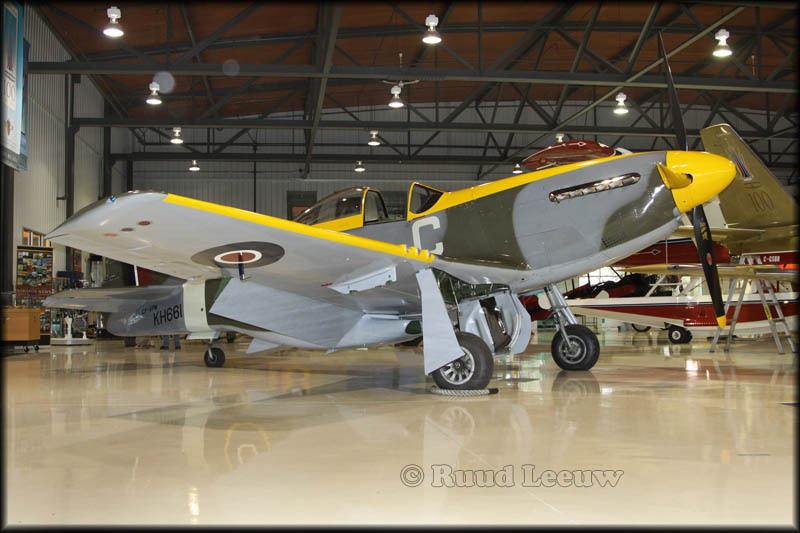 The Sabre, a swept wing, single seat air superiority fighter is long recognized as one of the finest fighter aircraft of all time and the Sabre 5 and Sabre 6 models built by Canadair at their Montreal plant are considered the most capable of all Sabres. 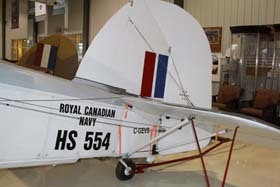 Of the more than 9,500 Sabres constructed worldwide, more than 1,800 were built in Canada in six different variants. 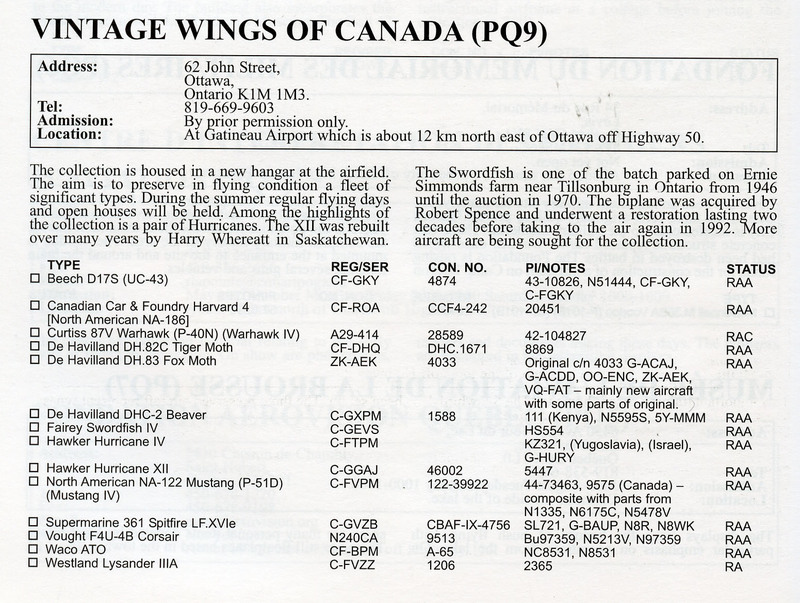 The Canadair Sabre saw operational service both in Canada and with 12 squadrons at Royal Canadian Air Force stations in Europe as part of a large NATO commitment. 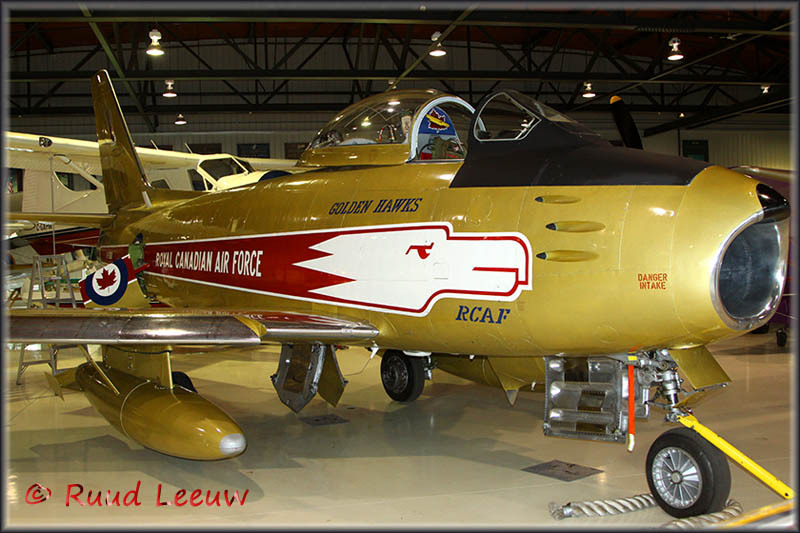 The most spectacular paint scheme ever to grace the already graceful lines of the Sabre was the livery of the RCAF's precision aerobatic team, the Golden Hawks. 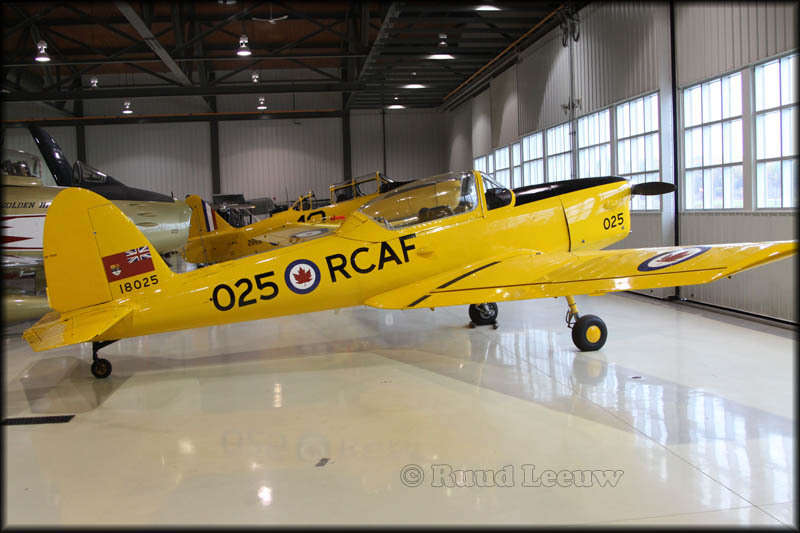 The Golden Hawks were created in 1959 to honour the 50th anniversary of powered flight in Canada and the Vintage Wings of Canada Sabre will wear the same metallic gold paint scheme as we celebrate the 100th anniversary of flight in 2009. 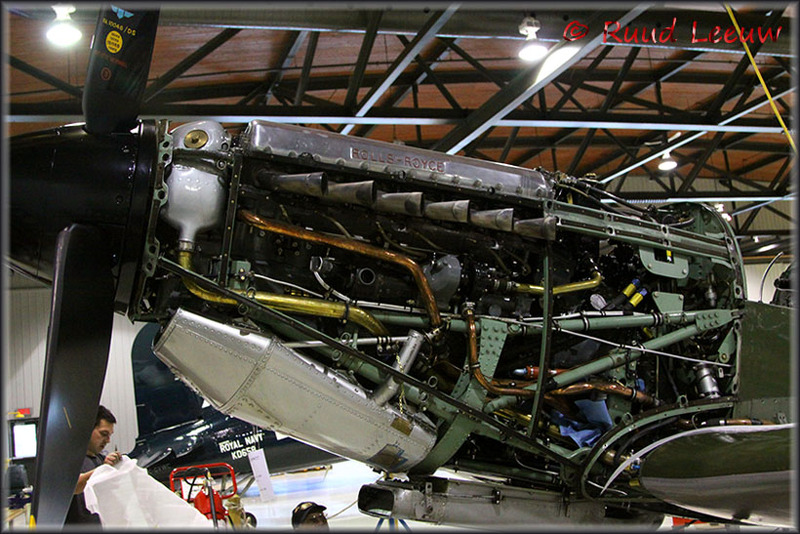 Manufactured: 1954 - Under License by Canadair Ltd. 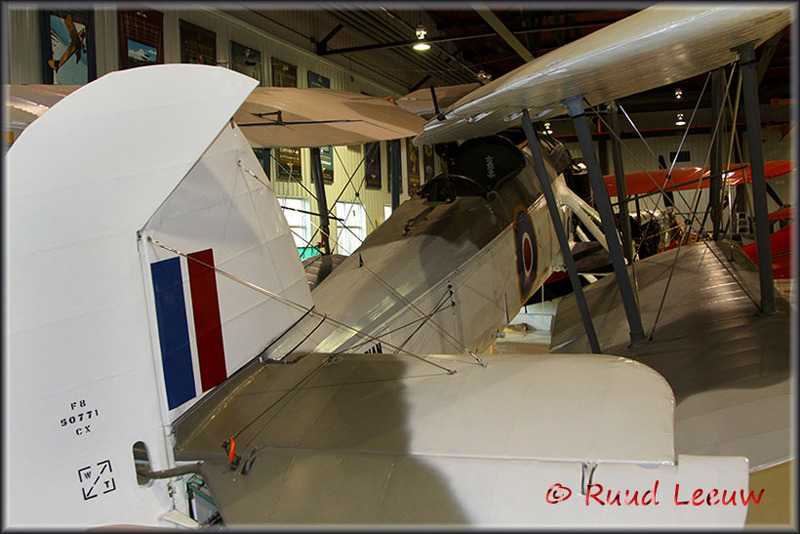 The Fairey Swordfish IV (C-GEVS) is one of the batch parked on Ernie Simmonds farm near Tillsonburg in Ontario from 1946 until the auction in 1970. 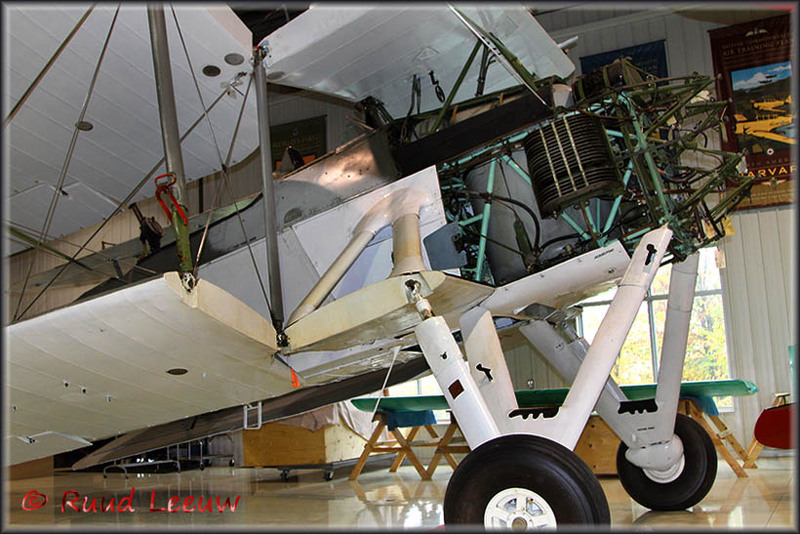 The biplane was acquired by Robert Spence and underwent a restoration lasting 2 decades! 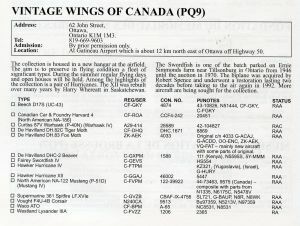 It took to the air again in 1992. 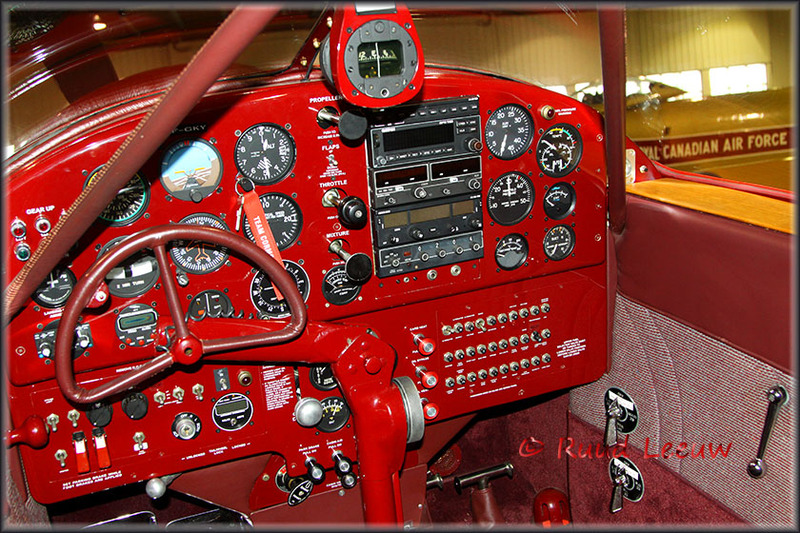 The Citabria was designed and initially produced by Champion Aircraft Corporation, and was a derivative of designs the company had been building since acquiring the 7-series Champ from Aeronca in 1954. 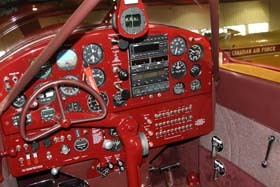 The company was then acquired by Bellanca Aircraft which introduced improved variants including the Decathlon. 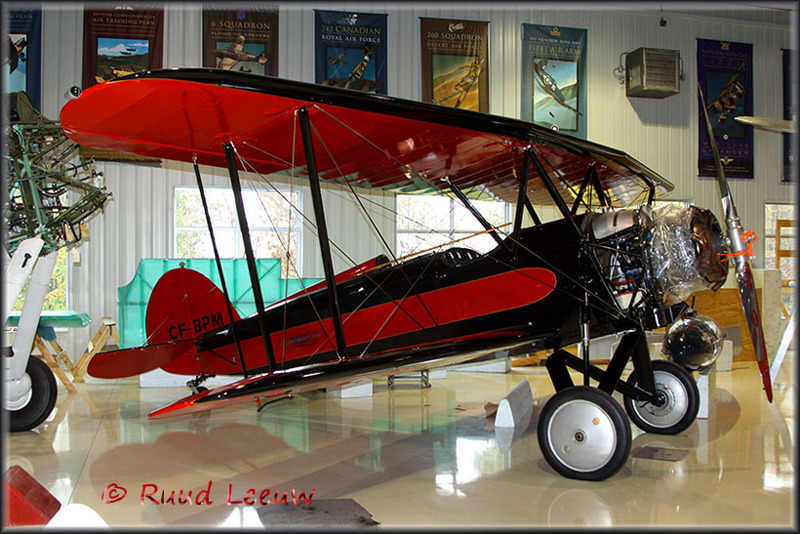 The Fox Moth was an evolution of the Tiger Moth. 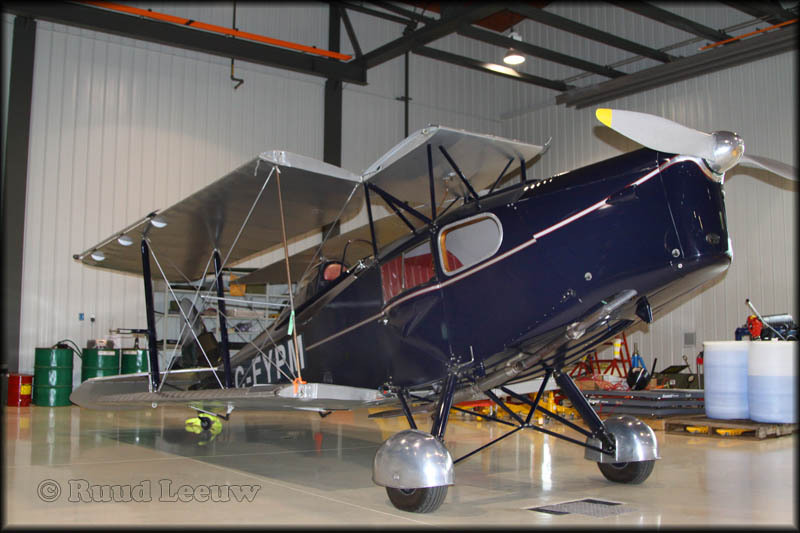 Using many Tiger Moth components, de Havilland designers created a new light utility aircraft with good performance, economical operation and low cost. 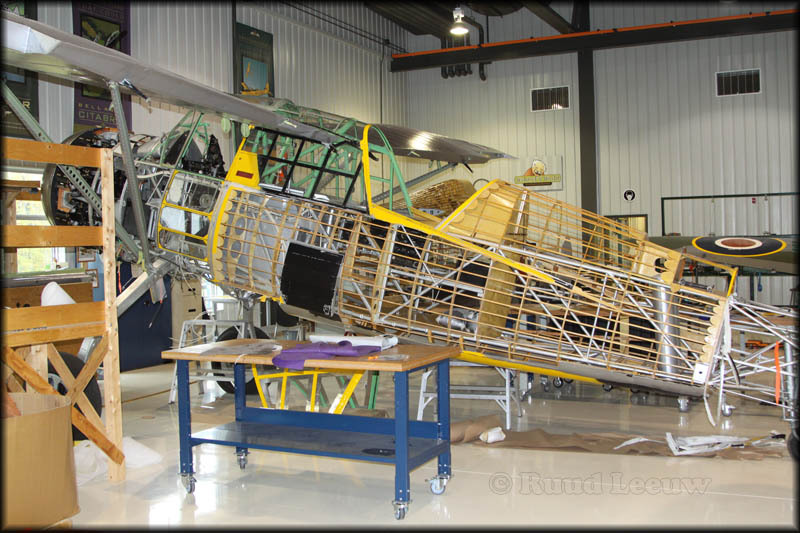 This proved to be an excellent design for cold weather operations in Canada with its enclosed forward passenger compartment and more than 50 were eventually built in Canada and went into service with bush operators across the land. Fox Moths were operated by bush aviation pioneers such as Arthur Fecteau and Max Ward (Wardair). This particular Fox Moth has perhaps the best pedigree of all. 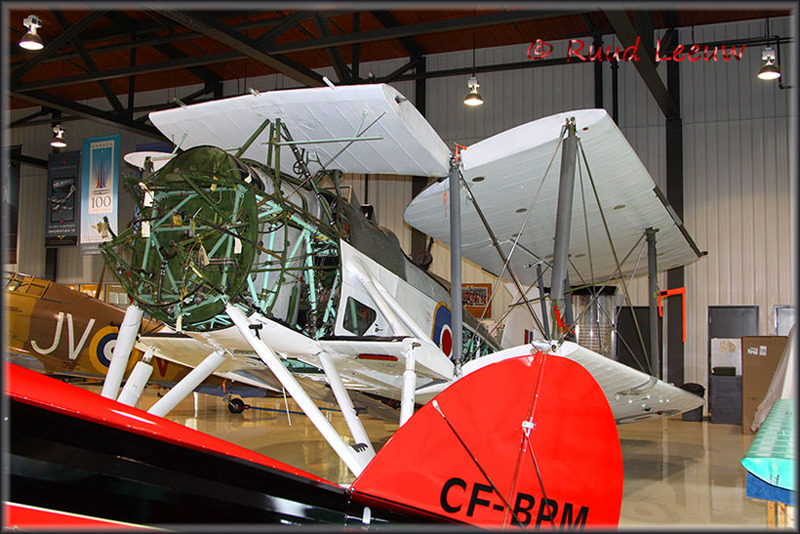 Its first owner was HRH Edward, Prince of Wales in 1932 and operated by the Royal Flight for about a year. Edward would eventually become the King who abdicated, but for a time, he was squired about by this remarkable aircraft enjoying the comforts of a burgundy leather cabin with matching folding wood tables. 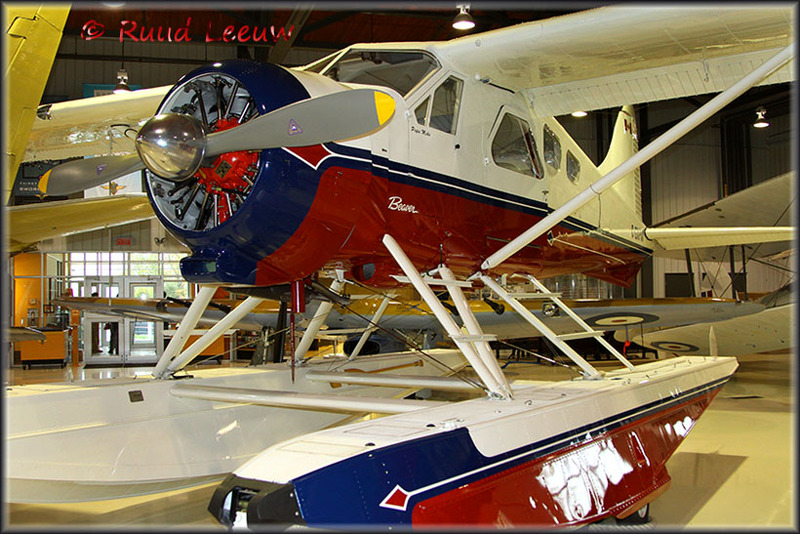 In 1934 it was sold to Guy Hansez, a Belgian, who flew it to the Belgian Congo and back -- a remarkable flight for that time. 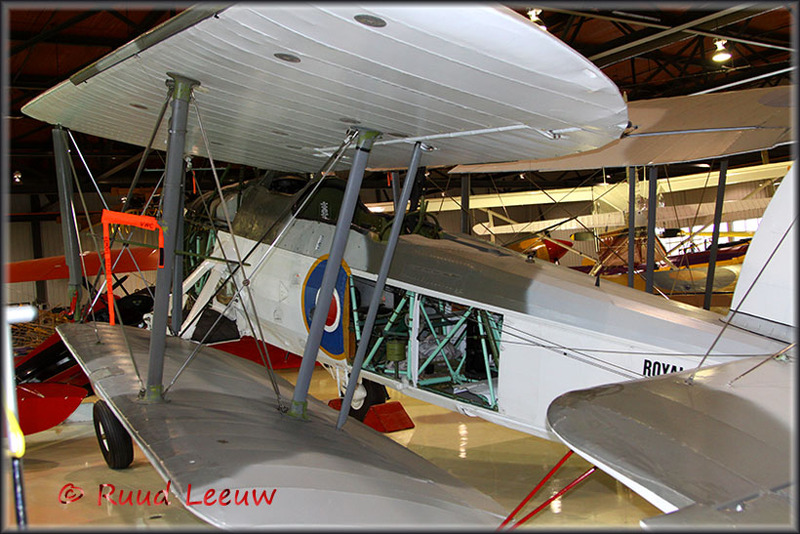 In 1936 it moved to New Zealand, pioneering airline routes in that country, particularly the mountainous South. 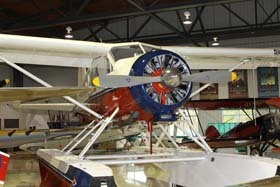 This sadly led to a crash on the Franz Josef glacier in 1943, but the aircraft was rebuilt, and operated in regular airline service until 1953. Then it was bought and operated as a crop sprayer until 1957, when it was taken to Fiji. 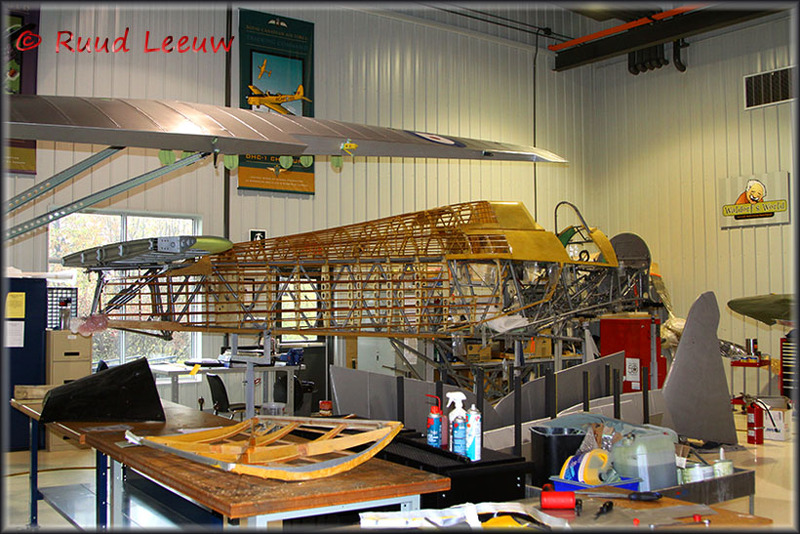 The tropical climate deteriorated the wood structure quite quickly and the aircraft was derelict by 1960. 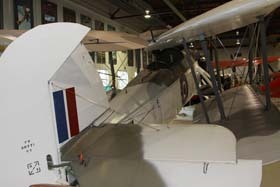 The remains were returned to NZ and restored in 1993 by Colin Smith, of Croydon Aircraft. 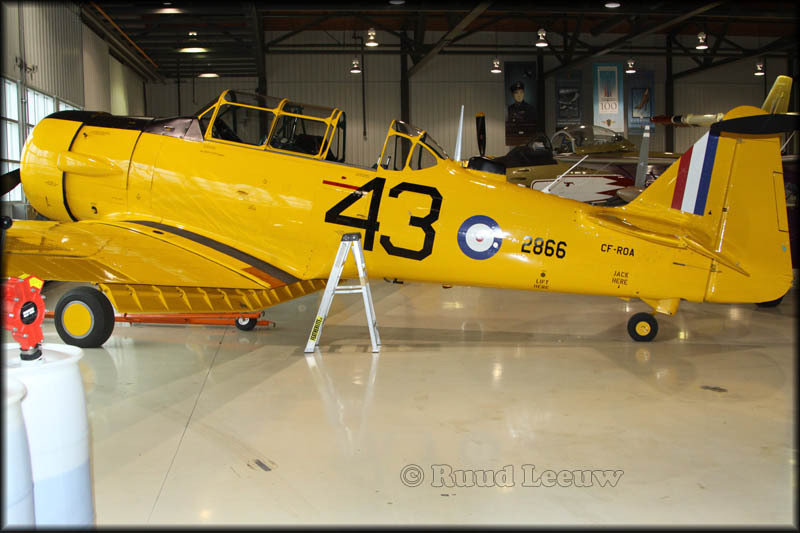 de Havilland DHC-1 Chipmunk '18025', could this be CF-RRI ?